We are delighted to announce the opening of a new Shambhala satellite center in the Temescal neighborhood of Oakland! Many of our members have expressed the desire for a regular sitting group in Oakland. We are curious what natural connections Shambhala practitioners can make in Oakland, and we hope that this satellite will provide significant opportunities to support people and projects with a similar social vision. Northern California Shambhala, the San Francisco and Berkeley Shambhala Centers are co-partners backing this project. The Ziji Collective will host the weekly open house, with the intention of creating a culture of inclusion and warmth. 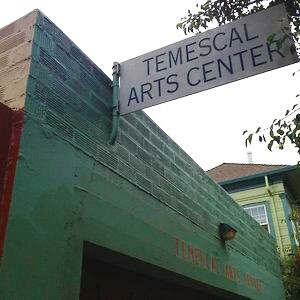 After considerable research and discussion, a search committee representing these various organizations has settled on the Temescal Arts Center (511 48th St, Oakland) as the best place to launch this satellite. A ten-minute walk from the MacArthur BART station, in a busy, commercial neighborhood, we envision this vibrant, accessible space attracting numerous meditators of diverse backgrounds. Please join us for our OPENING CELEBRATION, on Friday, May 1st, from 8 to 11pm at the Temescal Arts Center. We will begin our weekly sit the following Tuesday, May 5th, with meditation instruction, sitting, and a discussion from 8 to 9:30pm.